Leben’s win over the highly regarded Yoshihiro Akiyama was his second in 14 days. He defeated Aaron Simpson at “The Ultimate Fighter 11 Finale” exactly two weeks ago. 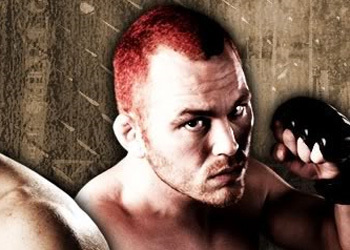 Three days after his knockout win, Leben was already back on the hook for another throw down after the UFC announced Wanderlei would be a no-go for his 185-pound shootout with Akiyama due to knee and rib injuries. So the UFC called Leben, and he didn’t hesitate in accepting the last-minute challenge. “Wanderlei was supposed to take this fight. I want him next,” Leben emphatically said after the win. The TUF alum was also vying for a spot as a coach of on the next installment of “The Ultimate Fighter,” with the opposing coach rumored to be none other than Wandy. If White chooses to have Leben and Silva coach opposite each other, it would provide “The Axe Murderer” enough time to heal up while providing the fight Leben’s deservedly demanding.